A new, take-out only item perfect for this Summer! 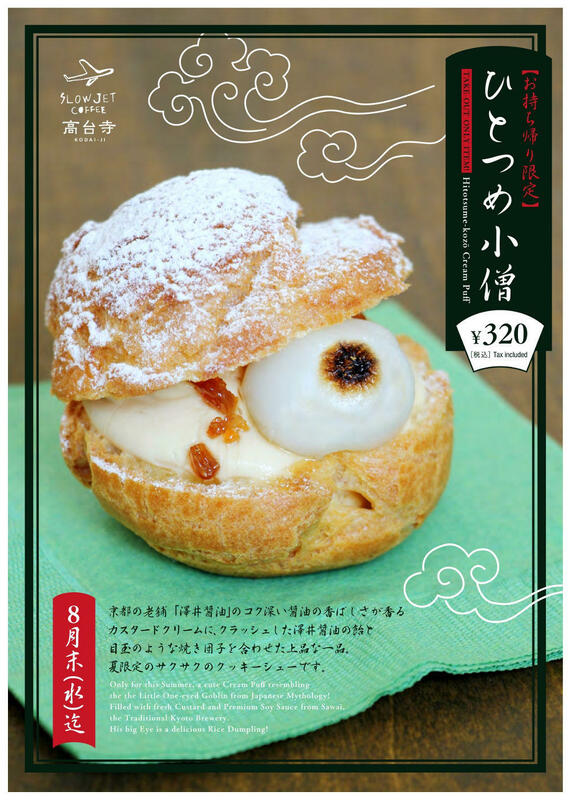 A Goblin-shaped Cream Puff filled with delicious Soy Sauce from the traditional Soy Sauce Brewery "Sawai". The crispy, light Puff will melt in your mouth along with the fragrant Soy Sauce and the sweet Custard! 9:30-17:30 (until 22:00 on light-up days). ※ Opening hours may vary seasonally.